There seems to be a widely accepted theory that the Kanohi Vahi has a missing upper half. Why does everyone think this? I would like to know. 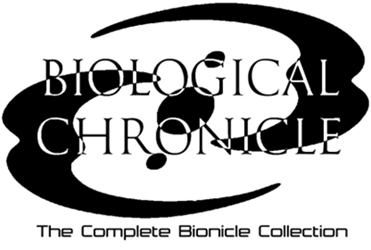 It's not actually canon in G1, but it was a notable element of Bionicle G2 (the 2015 reboot). In G2, Ekimu possessed a Mask of Time that only covered the top half of the user's face - the opposite of the original Vahi, which covers the lower half of the face. Some tidbits from guidebooks and other story sources indicated that the G2 Mask of Time was actually missing its lower half (which would presumably be some form of the G1 Vahi). Unfortunately, this plot thread never reached a resolution - possibly due to G2's cancellation. How could the G2 Vahi get to Okoto, though? An interdimensional gate? First, they made the upper half of the Mask, which is the G2 Mask. They also invented a Kanohi Olmak to bring the half to the G2 universe, where they entrusted Ekimu to keep it safe. As for the lower Mask, it would be the G1 Mask. They wanted to make it, but they still didn’t have time for that and feared that the lower half would do a lot of damage in the Matoran Universe, so they only give the materials that can be used to make the half to Artakha in the MU for safekeeping before the Great Spirit Mata Nui left the planet. Artahka feared that the half could damage the MU, too, so he decided to make the six Great Disks just to lessen the risk. If you guys want to think about only G1, I’d say the upper half could be hidden somewhere else in the MU for safekeeping as well. However, the half was fused with Voporak when he was mutated, so that could be how he got his time powers and the power to find the lower half. I got that idea from a fan story, which sounds quite logical. Well, the completed mask would make things worse in the MU, anyway. Edited by Lenny7092, Feb 02 2019 - 05:25 PM. I can see how people get the ideas for these theories now. The Makuta implanting the Upper Vahi into Voporak to give him his temporal powers makes sense. However, splitting the Lower Vahi might damage it. Wouldn't it be better to create the Great Disks beforehand and encode the instructions for the mask onto them? Well, the Great Beings would somehow split the mask into two halves without causing destruction as a result. They’re genius, so they would be careful in creating materials and pieces rather than creating the mask as a whole. Artakha probably decided to use the materials for the lower half to just create the Great Disks before anyone can combine the Disks to create the lower half (masks don’t look like that they are incomplete, you know). About the instructions, well, I don’t know about that. Vakama should’ve provided with instructions on the lower half, but he figured out on his own, anyway. When the lower half is completed, that half can cause destruction or whatever when it is destroyed. It’s still a legendary mask. Same goes to the upper half. I would say that whether the two halves are combined or not, they can cause disaster when they are destroyed. I believe I remember reading the outline the LEGO group created for G2; it was leaked online somewhere. It said that they didn't intend to ever explicitly make a connection to G1, but that they would leave certain threads open for fans to imagine a connection. In this way, new fans wouldn't have to be encumbered by the old mythos, but old fans would have fun seeing the Easter eggs and potential connections.